The Big Wobble: Bombogenesis! 3rd nor'easter in 2 weeks to pummel New England! When will winter release its grip on the northeastern United States? Bombogenesis! 3rd nor'easter in 2 weeks to pummel New England! When will winter release its grip on the northeastern United States? As we head toward April many are asking when will winter release its grip on the northeastern United States? It's the 3rd nor'easter in 2 weeks to pummel New England with heavy snow. Heavy snow and powerful winds will turn to blizzard conditions pounding the area as the winter storm moves up the East Coast Tuesday. The rapidly strengthening storm could undergo bombogenesis into Tuesday. Conditions continue to deteriorate as the storm strengthens, with the heaviest snow and strongest winds expected along the Interstate 95 corridor from Boston through Bangor, Maine. "As has been the case with the prior nor’easters in the past couple of weeks, the small craft should remain in port as the storm approaches," AccuWeather Senior Meteorologist Alex Sosnowski said. "Large ocean-going vessels may want to consider altering their schedule until the risk of heavy seas subsides." The nor’easter follows two storms that rumbled up the East Coast this month, killing at least nine people and knocking out power to about 2.4 million people and businesses at their peak. 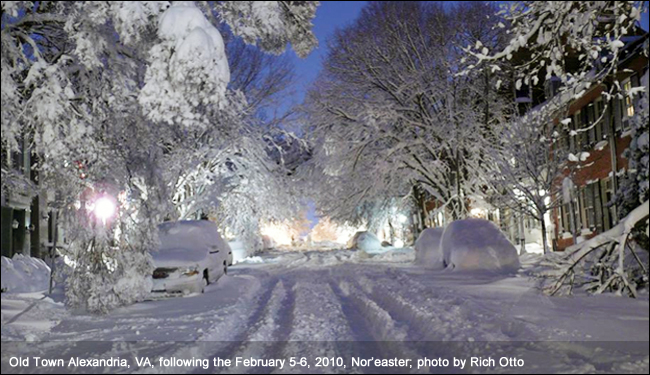 According to Reuters, winter storm warnings were in effect from Connecticut to Maine, the National Weather Service said, warning that cities including Boston could see as much as 18 inches (46 cm) of snow, far more than that dumped by the last two storms this month. Don't you have any idea's of your own?